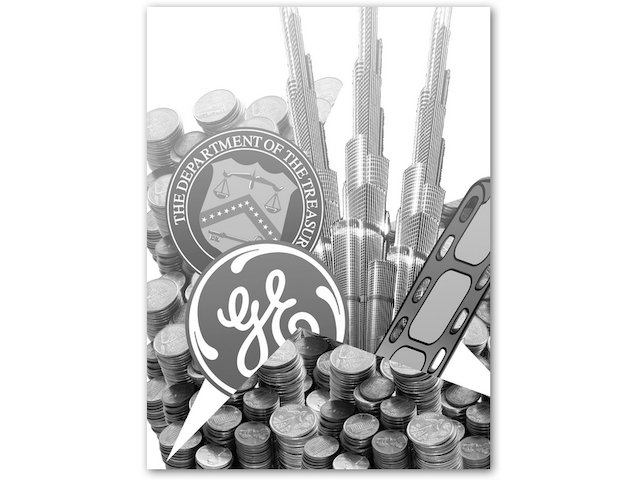 General Electric (GE) has demonstrated extraordinary longevity in the upper echelon of U.S. corporations. 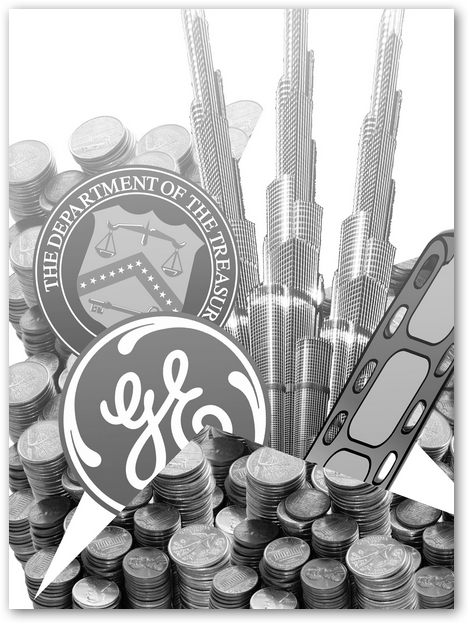 From 1925 to 2013, the company has never fallen below 10th in the rankings of firms by market capitalization. The only other firm to match this feat is the oil giant ExxonMobil. 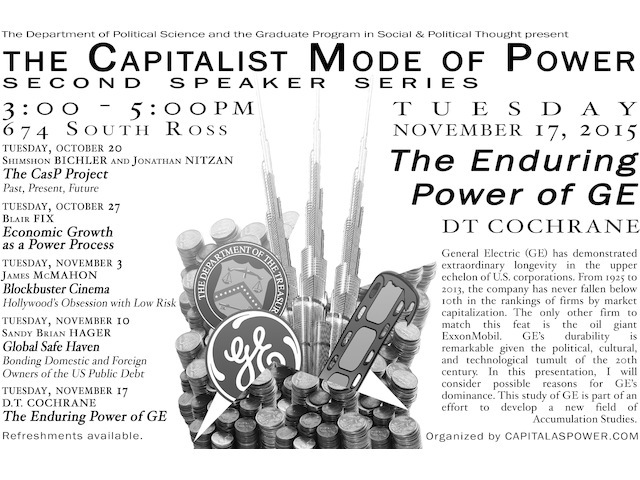 GE’s durability is remarkable given the political, cultural, and technological tumult of the 20th century. In this presentation, I will consider possible reasons for GE’s dominance. 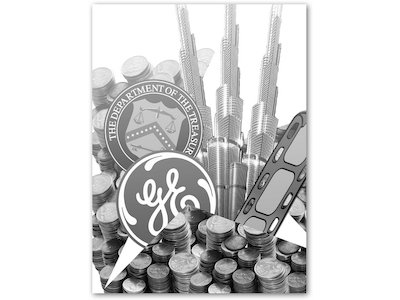 This study of GE is part of an effort to develop a new field of Accumulation Studies. 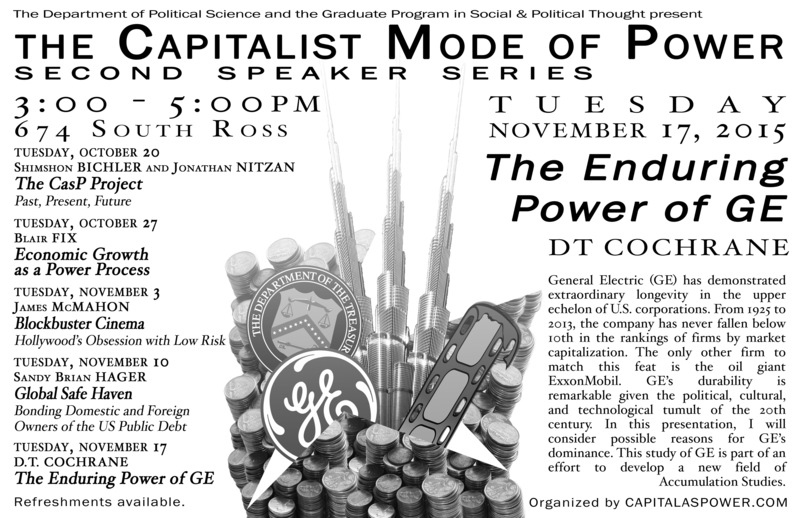 This presentation is the fourth in the Second Speaker Series on the Capitalist Mode of Power, organized by capitalaspower.com and sponsored by the York Department of Political Science and the Graduate Program in Social and Political Thought.